How do I know if my PC with XP can upgrade to Windows 7 or 8? Can my Windows XP machine handle Windows 7 or Windows 8? You got your Windows XP computer when it was new, and it’s still running great, but you’re concerned about the security issues associated with running XP. So you’d like to update to Windows 7 or Windows 8. How do you know if your PC can handle it? If it can’t, what options do you have? First, let’s list the minimum system requirements for all three operating systems. How do you know if you have all that stuff? Downloading and running an app like CPU-Z will help you determine that — each tab of the application gives you enough information to determine whether you meet the requirements. Also, keep in mind that these are minimums. It’s really a better idea to have 4 GB of RAM or more while running Windows 7 or Windows 8, for example. If your PC just meets the specs for Windows XP, there’s no chance it will handle Windows 7 or 8 well. Your upgrade path is probably pretty lousy, too, so a new PC might be in your future — one that comes with Windows 8. This application scans your PC, applications and devices and lets you know whether you can upgrade to Windows 8, and whether there will be any device or app compatibility issues after you do so. It’s pretty definitive, so if the app says you can run Windows 8, you can; if it says you can’t, you’ll need a new PC or to try and upgrade your existing machine. 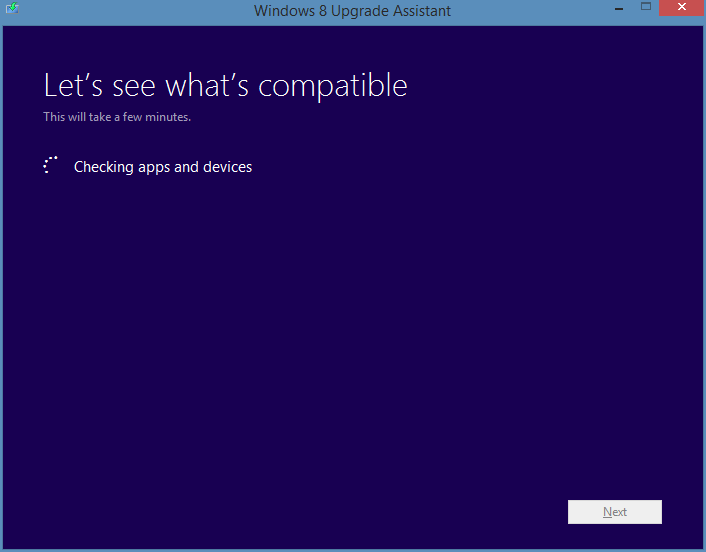 The Windows 8 Upgrade Assistant first checks your apps and devices for compatibility. If your PC can handle the upgrade, we’ve got a Windows 8.1 Upgrade Guide and a guide to upgrading from Windows XP to Windows 7. If it can’t handle the upgrade, it’s likely less expensive and less of a hassle to replace your PC entirely, rather than an incremental upgrade. You can likely keep your existing monitor, keyboard and mouse, though. Your printer may or may not work anymore — that’s one of the things the Upgrade Assistant will tell you.